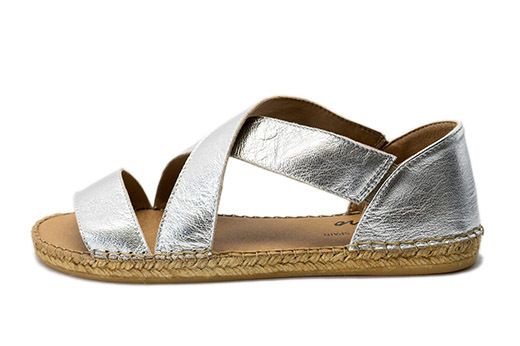 Our Beach style sandals are a stunner for any outfit in Silver. They are the perfect complement to skinny jeans or a nice dress. 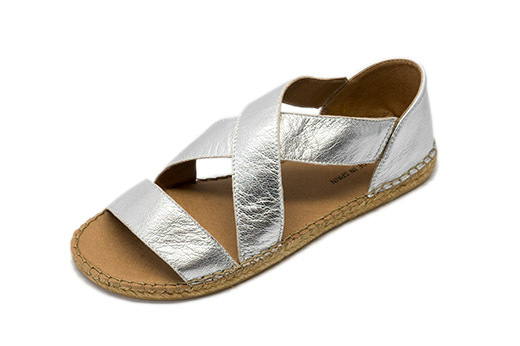 Each sandal features soft leather straps and a softly padded innersole. Laro Espadrilles are handmade in Spain and are crafted with high quality leather, traditional braided jute sole and a vulcanized rubber bottom sole.